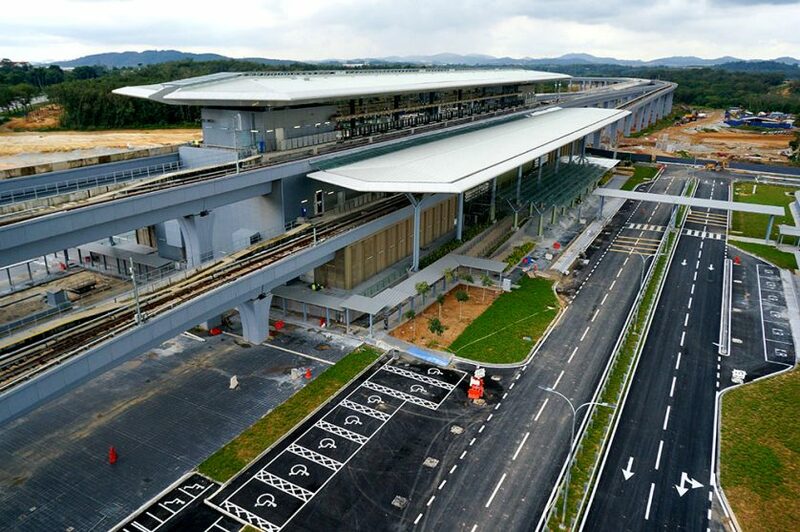 Sungai Buloh MRT Station is an elevated MRT station serving the suburb of Sungai Buloh in Selangor. It is the northern terminus of the MRT Sungai Buloh – Kajang Line. Park & ride facility and MRT feeder bus T100, T101, T102, and T103 are available at this station. 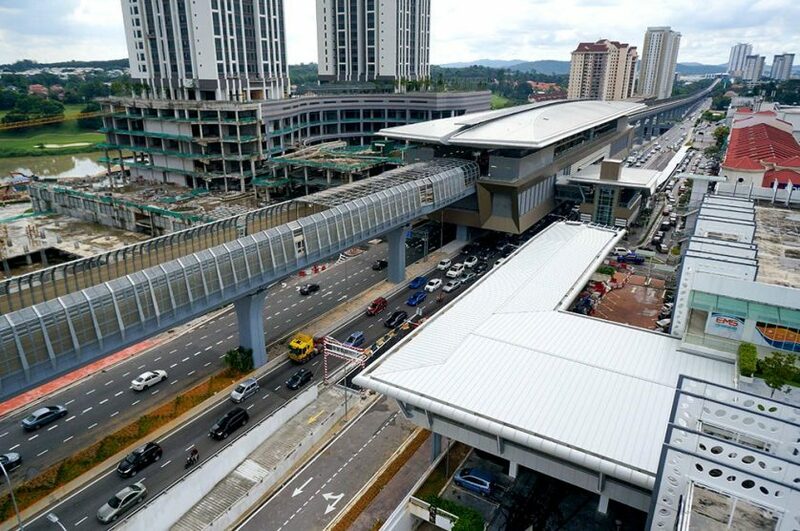 Kampung Selamat MRT Station is an elevated MRT station serving the suburb of Kampung Baru Sungai Buloh in Selangor. MRT feeder bus T104 is available at this station. 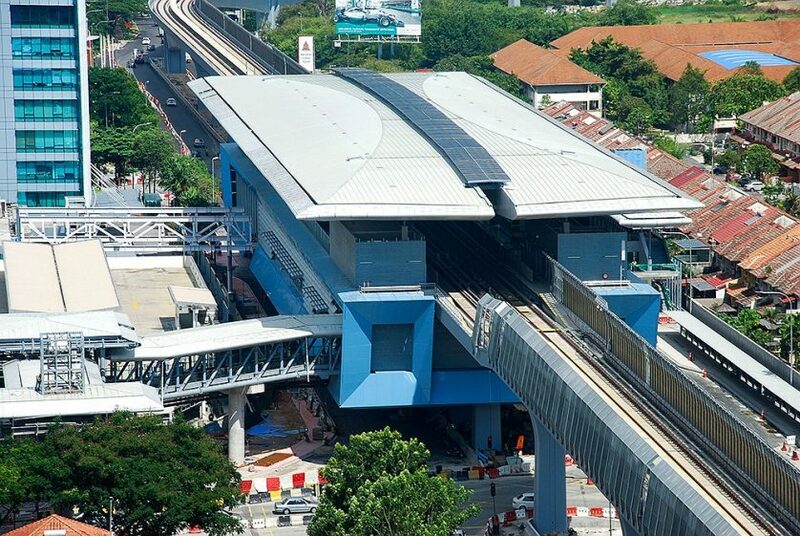 Kwasa Sentral MRT Station is an elevated MRT station serving the development project of Kwasa Damansara in Selangor. 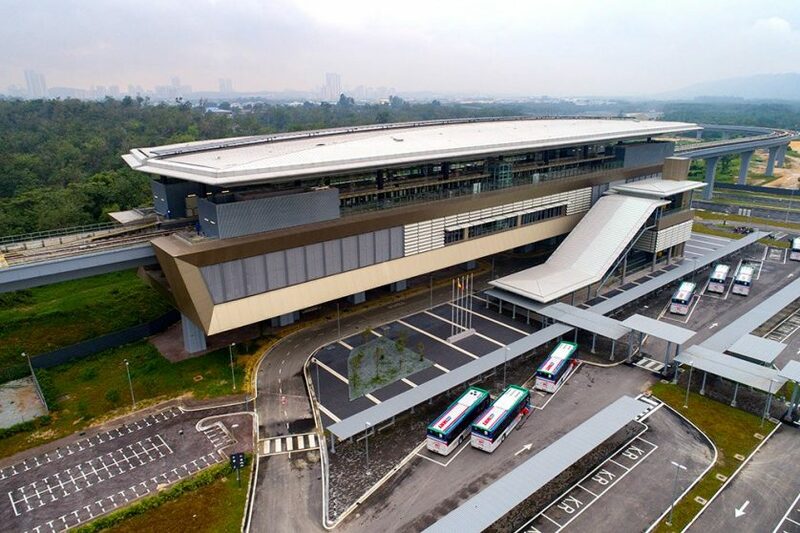 Park & ride facility and MRT Feeder bus T801, T802, T803, and T804 are available at this station. 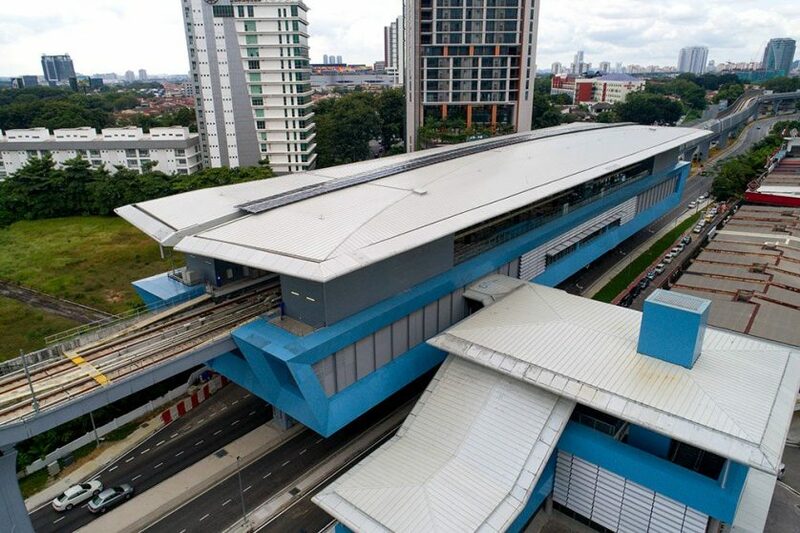 Kota Damansara MRT Station is an elevated MRT station serving Kota Damansara in Selangor. It is located near SEGi University Kota Damansara and the Tropicana Medical Centre. MRT feeder bus T805 and T806 are available at this station. Surian MRT Station is an MRT station serving Kota Damansara in Selangor. It is located near Dataran Sunway and Sunway Giza shopping center in Kota Damansara. MRT feeder bus T807 and T807 are available at this station. 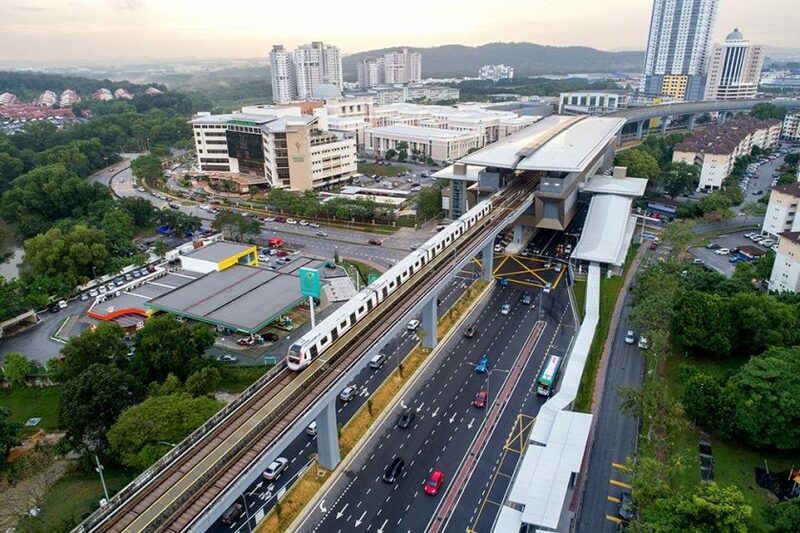 Mutiara Damansara MRT Station is an elevated MRT station serving the suburb of Mutiara Damansara in Selangor. It is located near The Curve shopping center and IKEA Mutiara Damansara. MRT feeder bus T809 and T810 are available at this station. 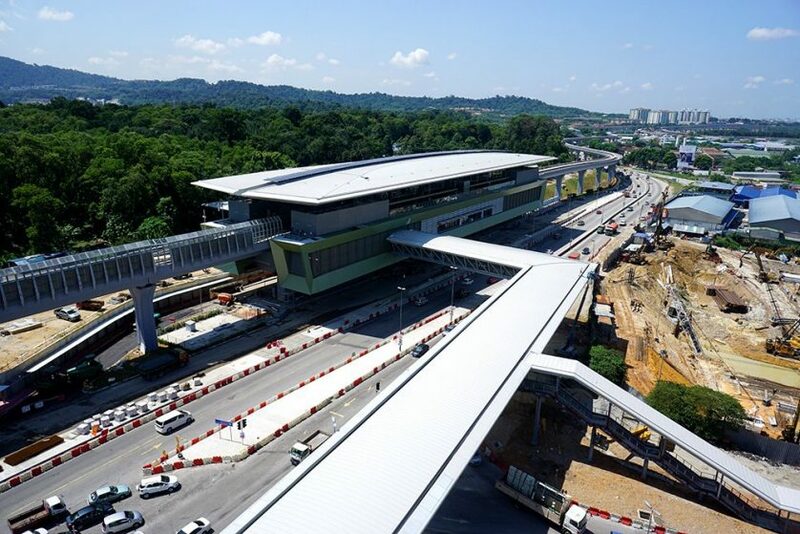 Bandar Utama MRT station is an elevated MRT station serving the suburb of Bandar Utama in Selangor and it is located beside the Damansara-Puchong Expressway. 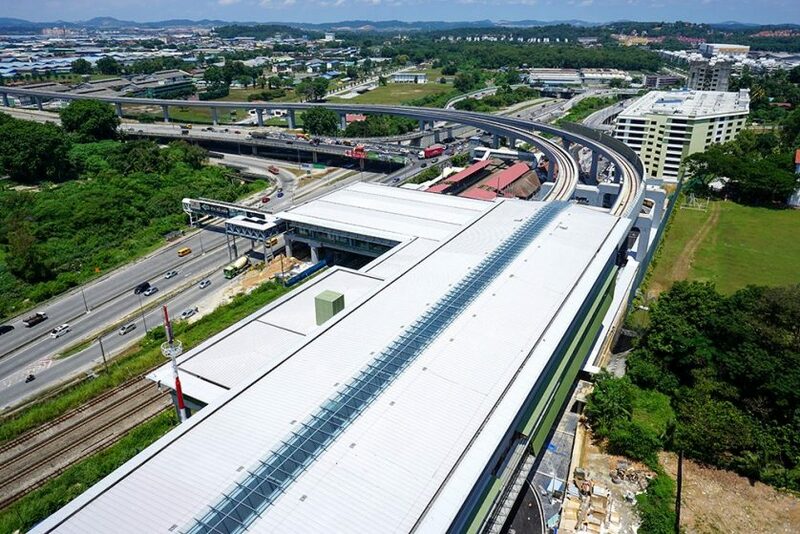 Park and ride facility and MRT feeder bus T811 and T812 are available at this station. 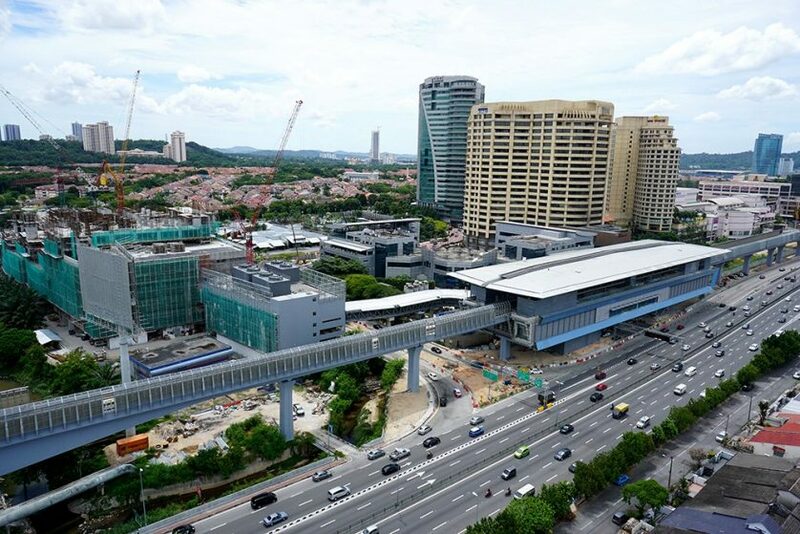 Taman Tun Dr Ismail MRT Station is an elevated MRT station located at the suburb of Taman Tun Dr Ismail, Kuala Lumpur and Damansara Utama, Selangor. MRT feeder bus T813 and T814 are available at this station. 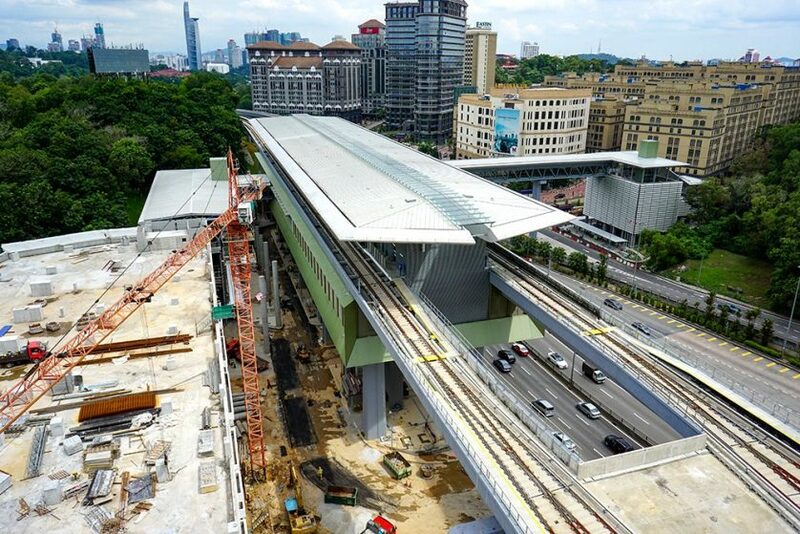 Phileo Damansara MRT Station is an elevated MRT station serving the suburb of Phileo Damansara and Section 16 in Petaling Jaya, Selangor. Park and ride facility and MRT feeder bus T815 and T816 are available at this MRT station.